We have discussed the importance of migrating away from Windows Server 2003 to Windows Server 2012 a few times in the past. But for some SMBs, that may not be possible because Server 2003 may be installed on antiquated hardware built when it was still the go-to option. Scenarios like that call for completely replacing the old servers with new ones; any IT tech will advise that companies should use server migration as an opportunity to update your hardware. You may as well take advantage of the robust computing resources Windows Server 2012 makes available. For those who are considering building their own server systems, consider the pros and cons of undertaking this kind of project. Understand that purchasing a system from a manufacturer instead of assembling one in-house guarantees manufacturer support if something goes wrong, and not having to worry about compatibility issues and individual warranties for components. For smaller organizations without dedicated IT, pre-assembled systems leverage the knowledge of experts, which is especially nice when they are not on your payroll. Now on to the Dell hardware. Practical for SMBs that lean towards the small side, tower servers cost less than rack or blade servers. Priced on par with desktop PCs, mini-tower servers such as the Dell PowerEdge T20 provide a great deal of value at a low cost. A solid entry-level server for a home or small office, with support for up to six internal hard drives and 12 USB ports. Just be sure to get the Xeon-equipped variant instead of the Pentium model if you need a capable performer. The T20 works best as a shared file server or a dedicated storage solution. A step up from the mini-tower line, the T620 / T630 series supports up to two Xeon processors and has plenty of room for expansion. Capable of running your mail and virtualization workloads, the T620 / T630s are scalable to meet the needs of a growing office. The difference between the two: the T620 line works with Sandy Bridge processors while the T630 line utilizes the newer Haswell processors. 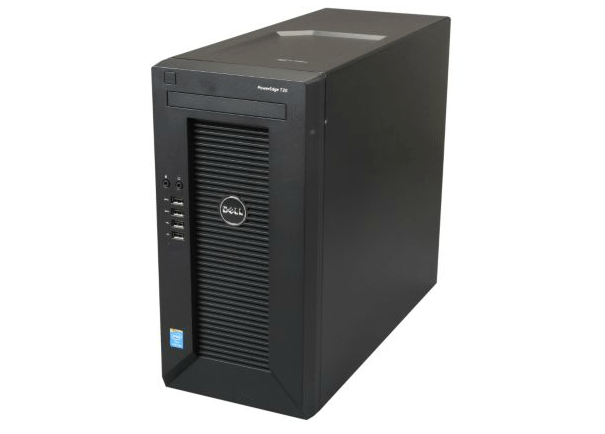 Featuring 32 internal drive bays and robust RAID management, the T600 line should meet the data storage and backup needs of a small to medium office nicely. If you decide to migrate to a rack chassis at some point, no problem–a rackmount kit can be purchased for the T620 / T630. Just keep in mind that it comes out to about a 5U form factor. Made for medium-sized businesses that are running out of room for towers, or looking to save money on colocation rackspace, rackmount servers fit the bill by providing expandability and compactness. Both are short-depth 1U solutions, with the R420 supporting Sandy Bridge and the R430 Haswell. The R400 line is virtualization-ready and includes Dell’s Failsafe Hypervisor. Suggested Uses: Virtualization, terminal server, remote App server, web server, etc. 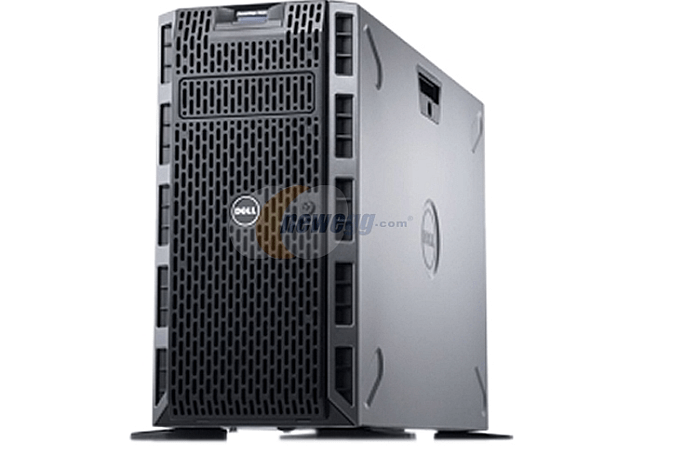 The Dell PowerEdge R700 series features a 2U form factor and has plenty of room for expansion. With the larger 2U size, PowerEdge R720 and R730 servers hold up to 24 storage drives and two Intel Xeon E5 processors. Select models can support up to 1.50TB of memory as well. Larger businesses looking to increase compute density should consider a 2U PowerEdge R720/R730 series server. So what has your experience been with Dell servers? Let us know in the comments if you have ever deployed a PowerEdge server. Any IT tech will tell you Windows Server 2012 migration presents an opportunity to update hardware. Here is a look at what the Dell PowerEdge line has to offer.